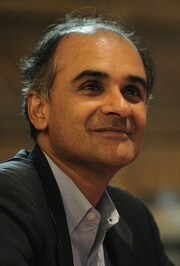 Pico Iyer is a British-born essayist and novelist of Indian descent. As an acclaimed travel writer, he began his career documenting a neglected aspect of travel -- the sometimes surreal disconnect between local tradition and imported global pop culture. Since then, he has written ten books, exploring also the cultural consequences of isolation, whether writing about the exiled spiritual leaders of Tibet or the embargoed society of Cuba. 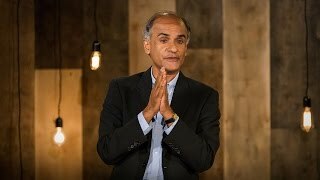 Iyer’s latest focus is on yet another overlooked aspect of travel: how can it help us regain our sense of stillness and focus in a world where our devices and digital networks increasing distract us? 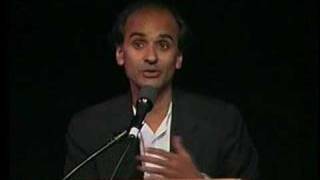 As he says: "Almost everybody I know has this sense of overdosing on information and getting dizzy living at p Pico Iyer is a British-born essayist and novelist of Indian descent. As an acclaimed travel writer, he began his career documenting a neglected aspect of travel -- the sometimes surreal disconnect between local tradition and imported global pop culture. Since then, he has written ten books, exploring also the cultural consequences of isolation, whether writing about the exiled spiritual leaders of Tibet or the embargoed society of Cuba. Is this you? Let us know. If not, help out and invite Pico to Goodreads.